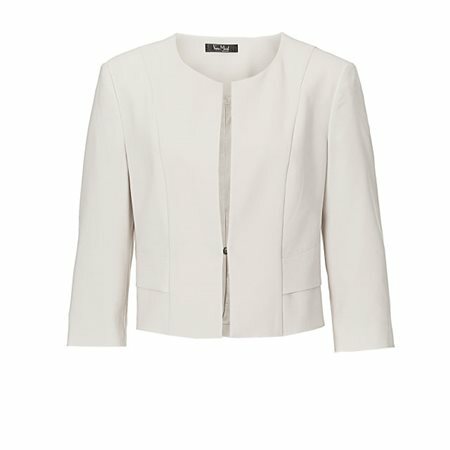 When you need to complete an outfit this classic jacket by Vera Mont is an inspired choice. This jacket has been beautifully tailored using a soft cream luxurious fabric that falls to the waist with graceful elbow length sleeves. The jacket closes with a single fasten to reveal elegant lapels that gives this jacket structure and finesse. This jacket would look stunning over the Vera Mont navy and cream dress with lace detailing, this item is also available at Jonzara.